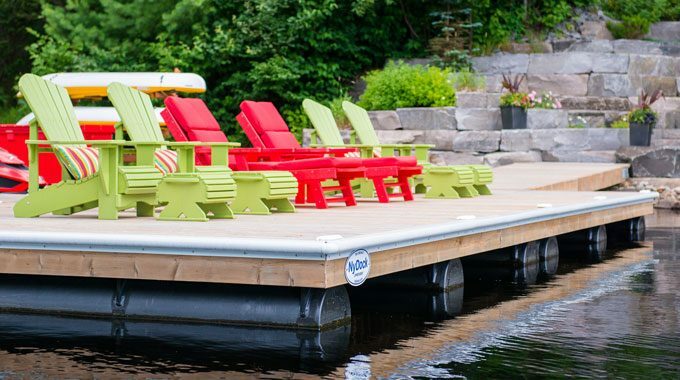 Our floating docks are superior to crib docks. 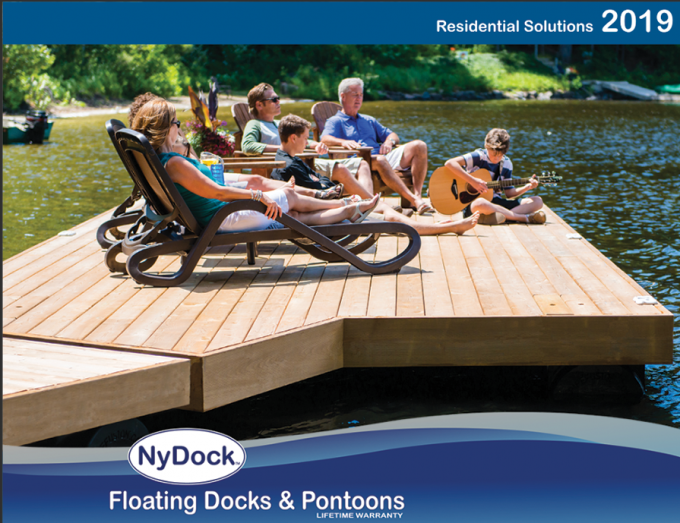 Changing water levels or cribs shifting from ice loads do not affect Nydock floating docks. 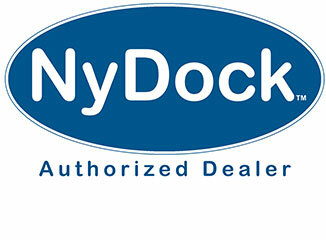 A NyDock will always be level and sturdy, it will not sag, rot, or shift over time like crib docks. 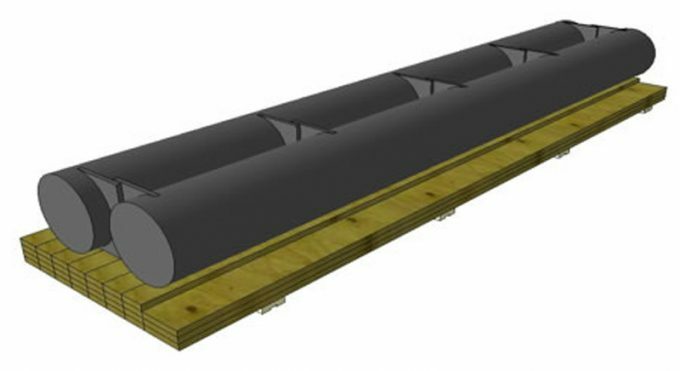 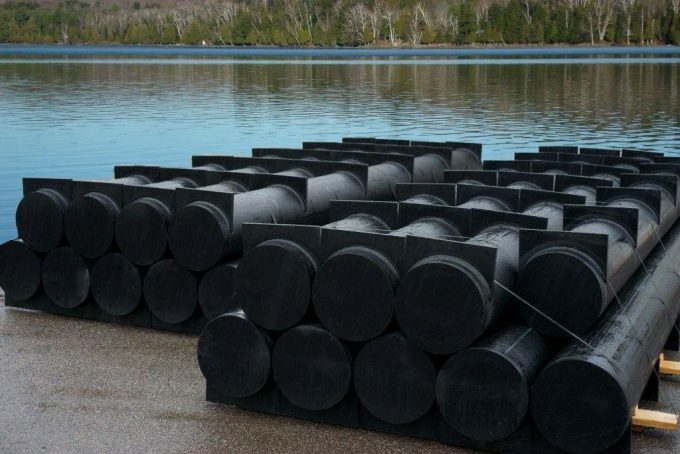 NyDock floats are made from incredibly durable polyethylene pipe normally used in rugged municipal, industrial and mining applications. 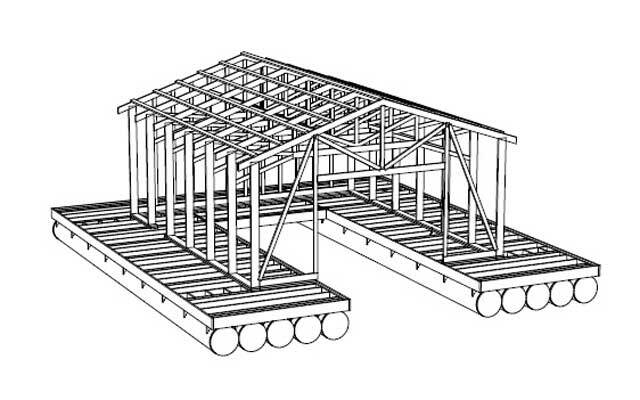 Freezing in ice does not damage docks built with our floats, they will not decompose or rot, rust like steel, weather from the sun, or be eaten by animals. 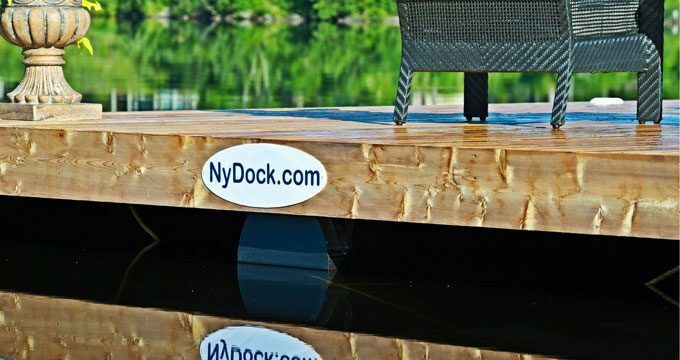 An environmentally friendly dock built with Nydock floats is the last dock you will ever need and is built with the finest care and quality craftsmanship. 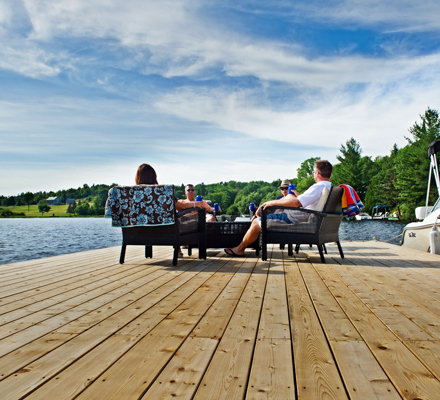 We stand behind our floats with a lifetime guarantee. 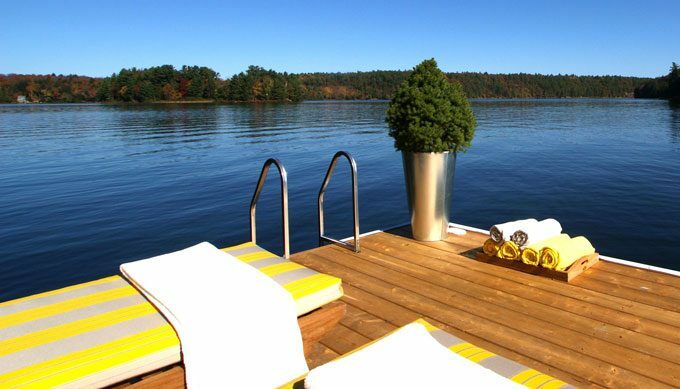 The “Big T” is where NyDock’s popularity began – it has been our most-purchased design for many years. 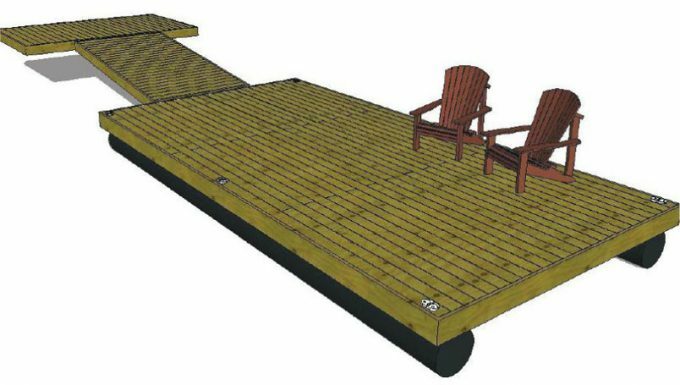 This configuration offers many advantages: it can shelter your boat from oncoming waves, it has a great seating area, and it can get you out far enough from shore to get a few extra hours of sunlight. 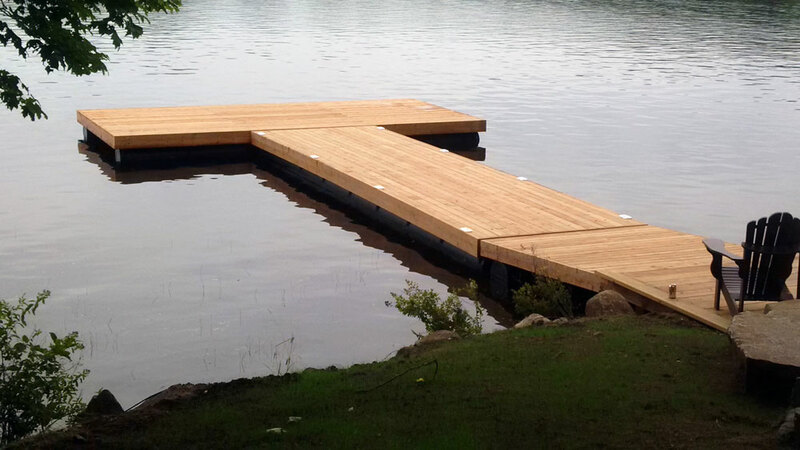 You can achieve this stunning look with just a ramp or with a series of docks. 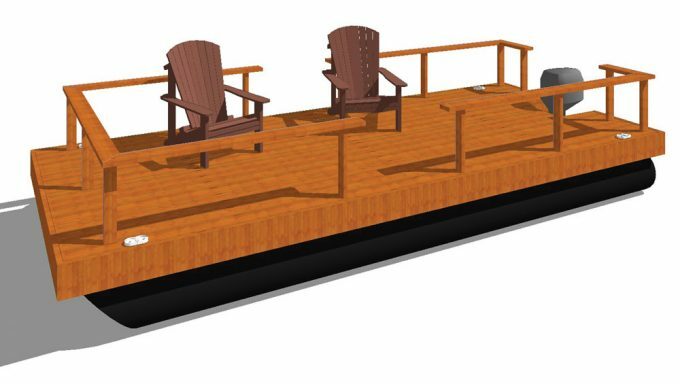 L-shaped docks are one of our bestselling dock configurations. 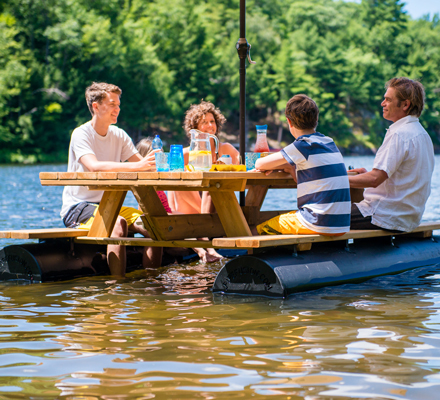 The long edge provides easy access for mooring a boat, while the inside of the L creates a sheltered area perfect for swimming. 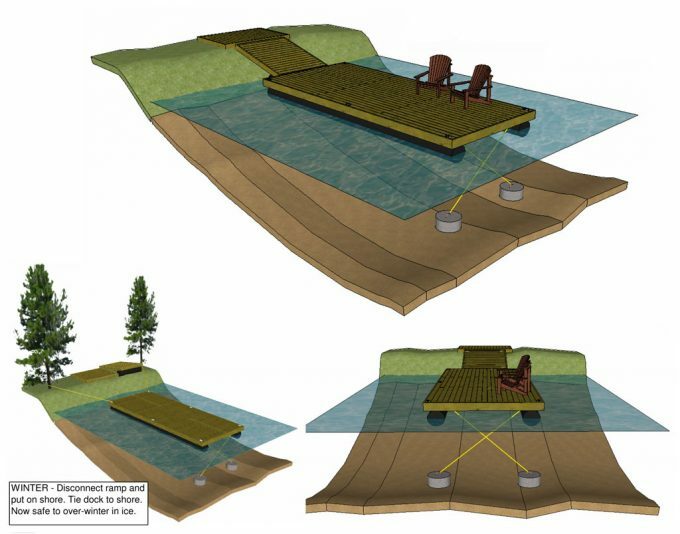 You get both of these advantages without ever obstructing your view of the entire lake while sitting at the end. 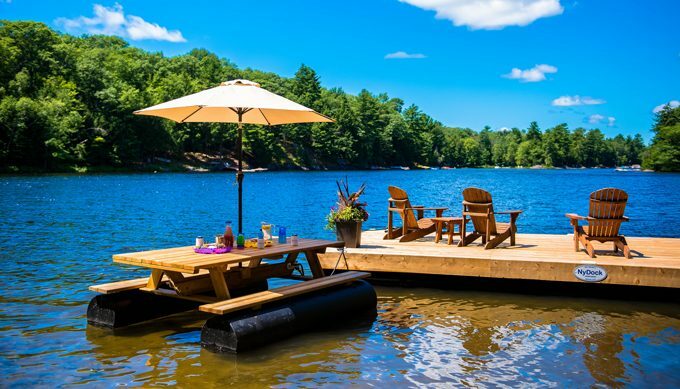 This dock set up is ideal for family gatherings and overall waterfront enjoyment. 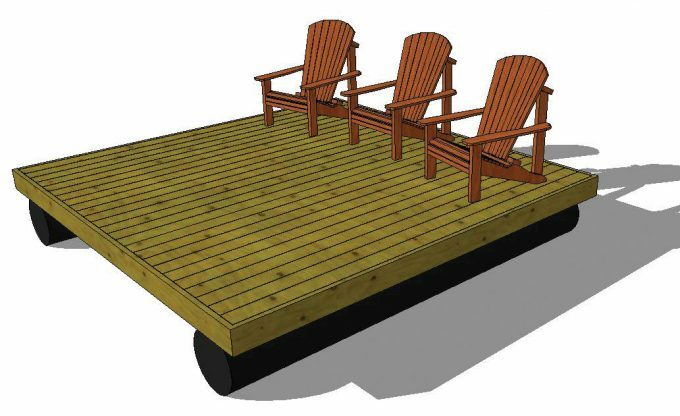 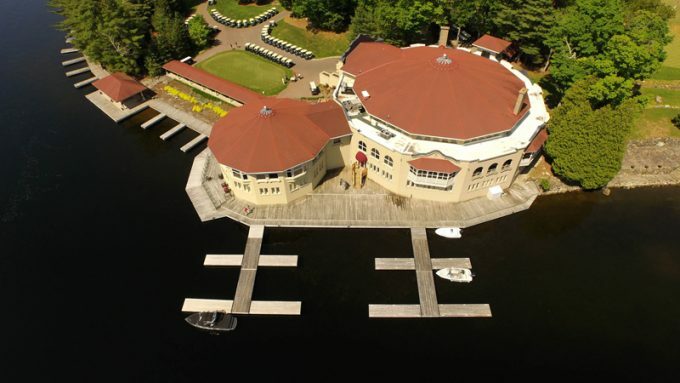 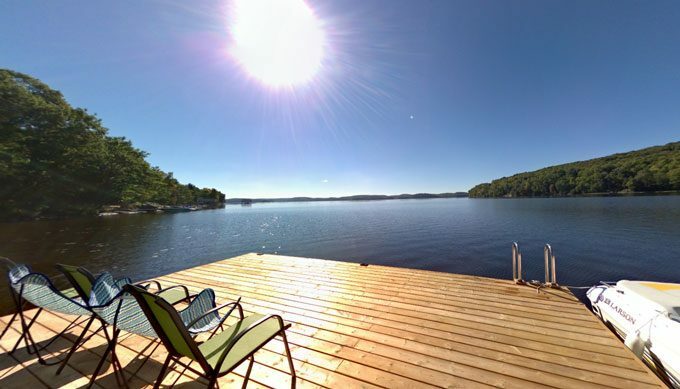 As seen on the Cottage Life TV series Colin & Justin’s Cabin Pressure, this dock has attracted a lot of attention. 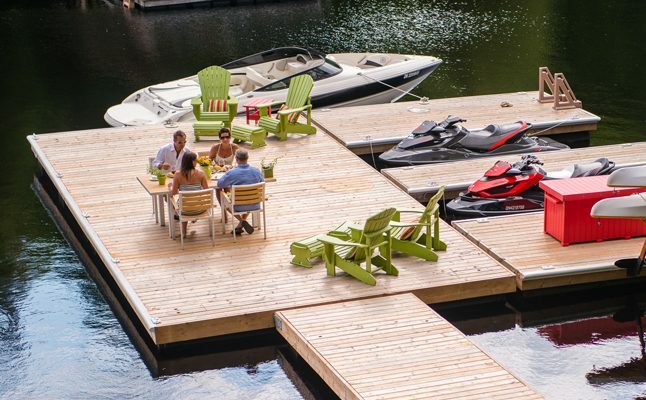 Imagine your docks always being the same height off the water, regardless of seasonal water level fluctuations. 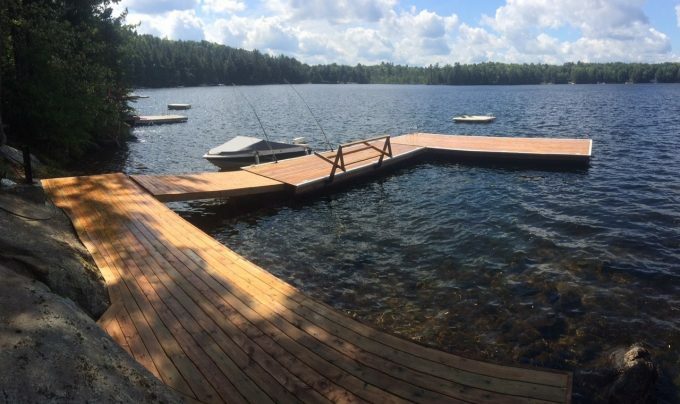 No more flooded docks in the spring, or docks too high off the water in the fall. 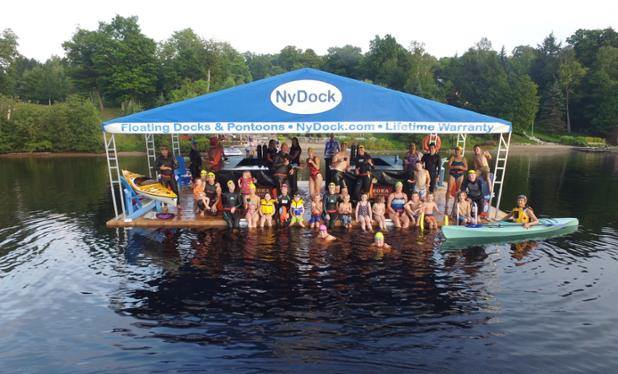 NyDock floating docks offer the advantage of being at a consistent height relative to your boat, every day, all season long. 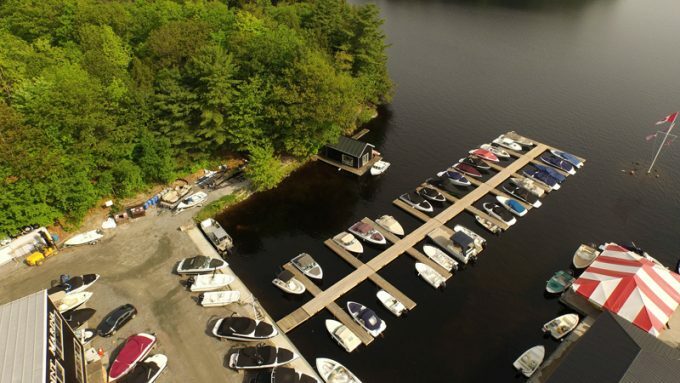 With two sizes of pontoons available, you choose the height that is most appropriate for the size for your boat. 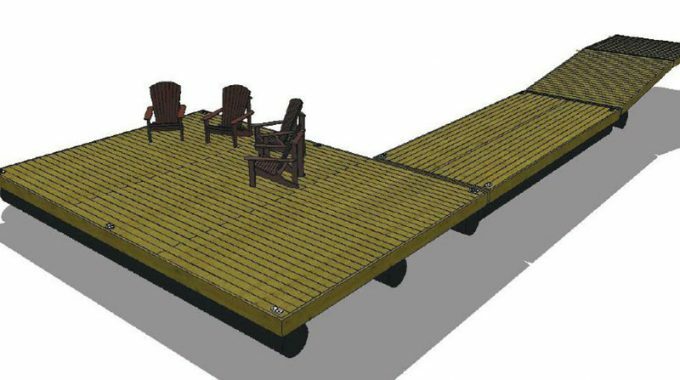 Our 18” diameter pontoon design is a cost-effective choice. 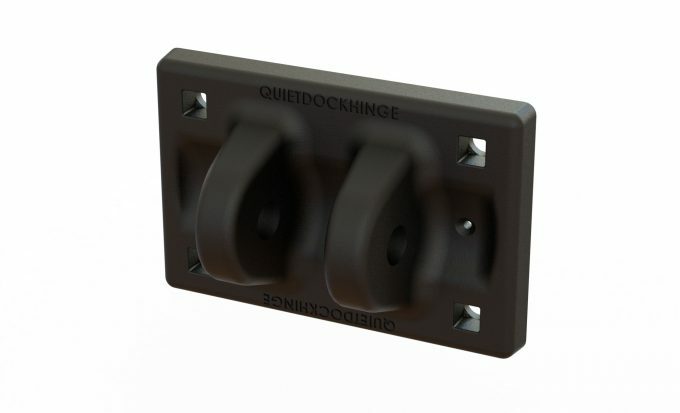 With 16” of freeboard, it meets the requirements of most small- to medium-sized boats and has been our standard for many of our residential docking systems. 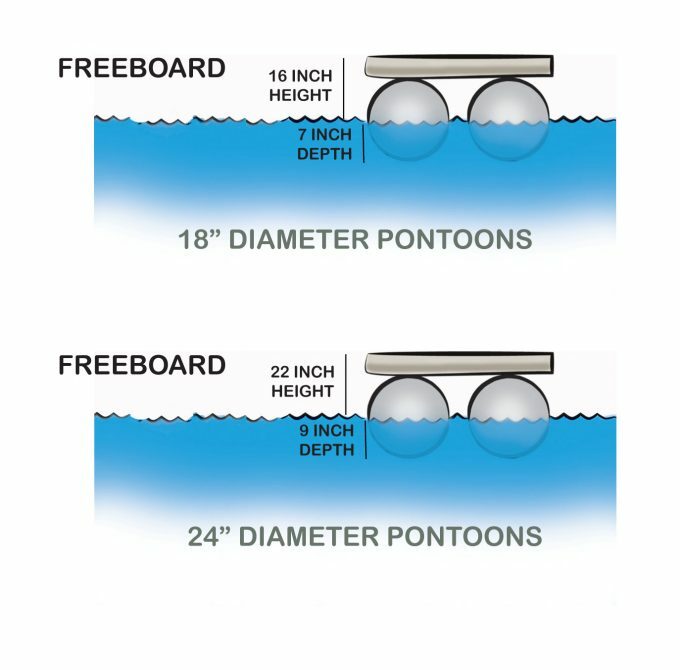 Our 24” diameter pontoon allows for 22” of freeboard and has quickly become the mainstream choice for large boats. 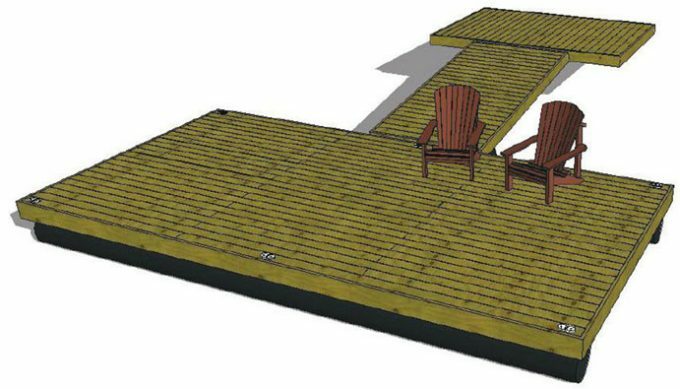 The height of the deck in relation to the water combined with additional buoyancy creates the ultimate high-freeboard residential dock. 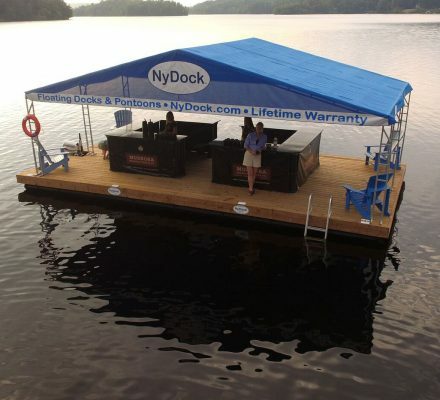 If you are in the market for a dock that will last you a lifetime you have come to the right place. 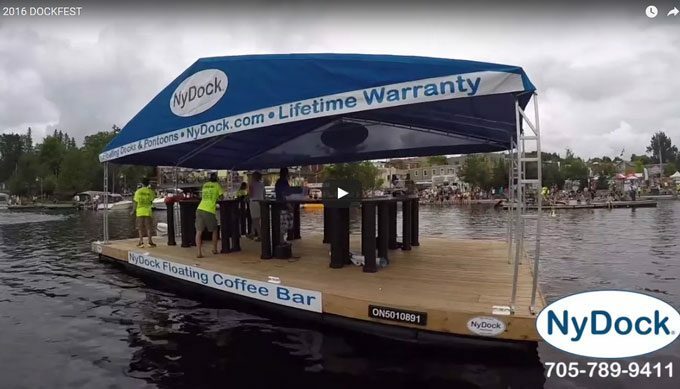 There is no dock like a NyDock. 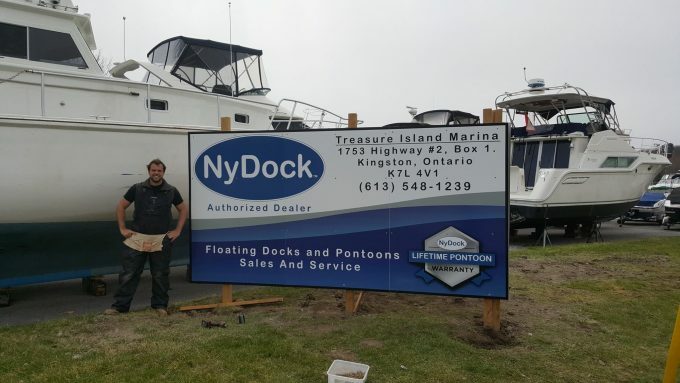 We are the name you can trust in docking systems! 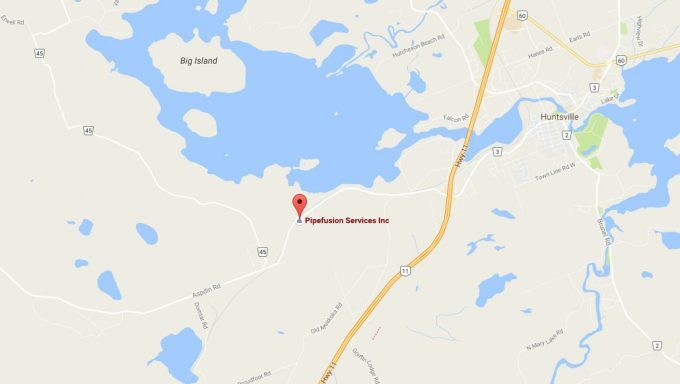 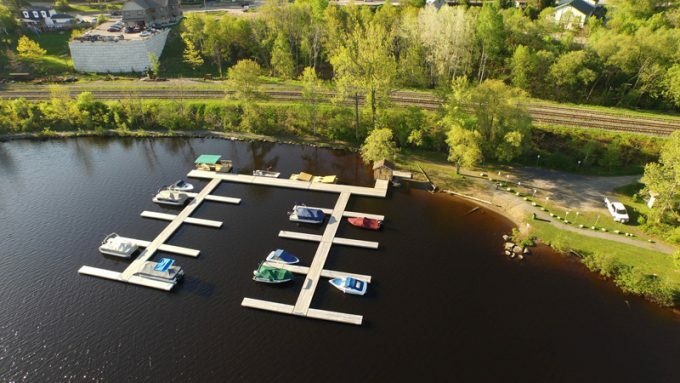 We are experts in commercial docking systems and custom flotation pontoons for unique applications. 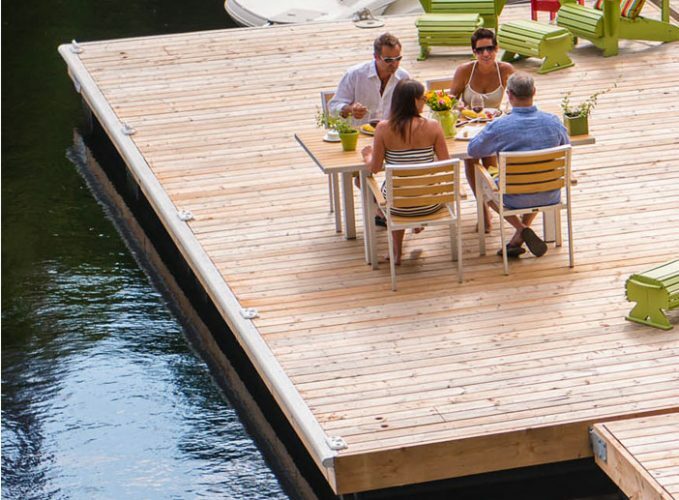 From 200-slip marinas, to aqua culture cages, to containment & floating security barriers, we are your floating dock experts and more. 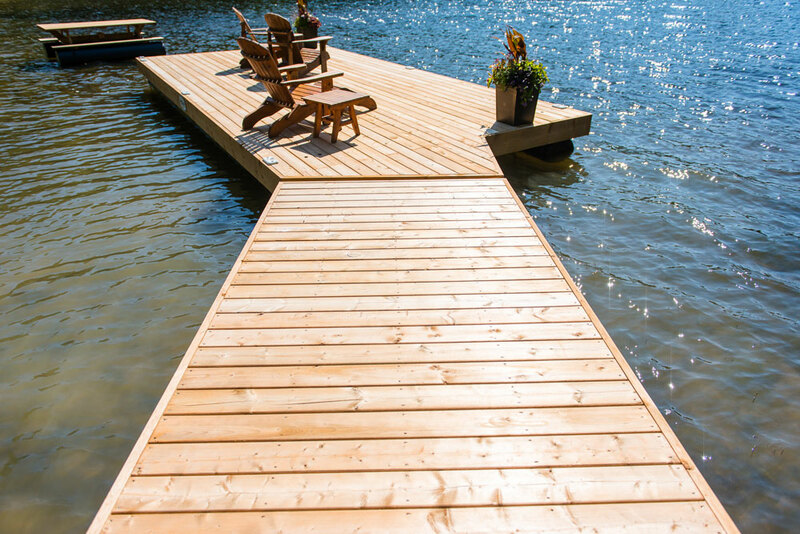 There is no wood below the waterline, only our incredibly durable floats that are guaranteed never to leak. 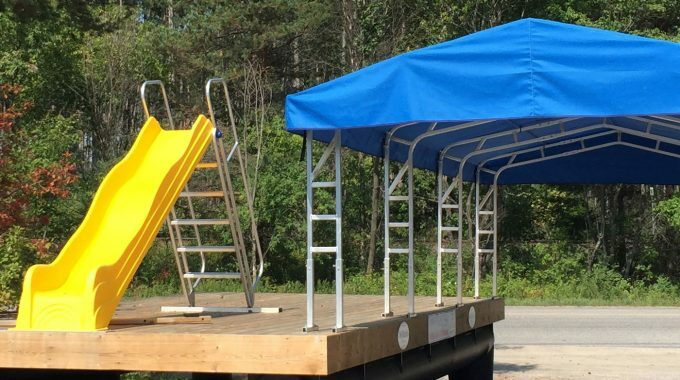 The fully pressure-treated frame is delivered complete with top of the line dock cleats, and hidden anchoring cleats. 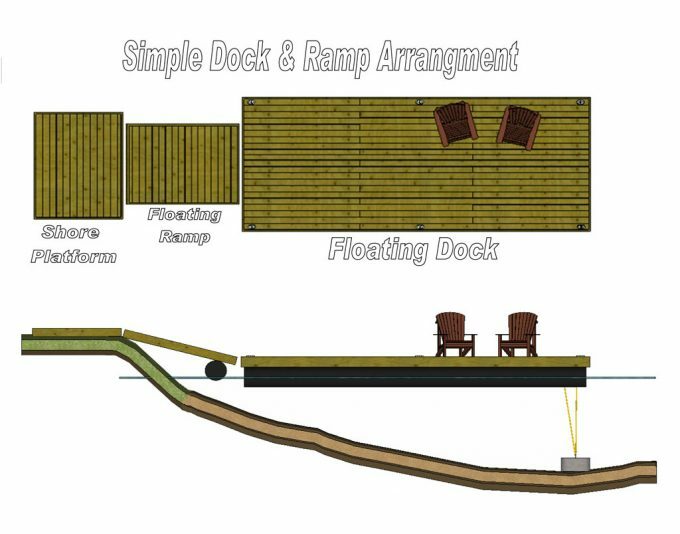 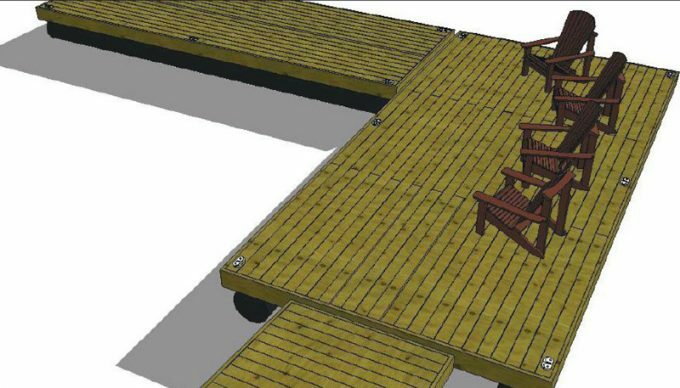 For more information on our docks and the use of a floating ramp for your dock, visit our Frequently Asked Question or contact us. 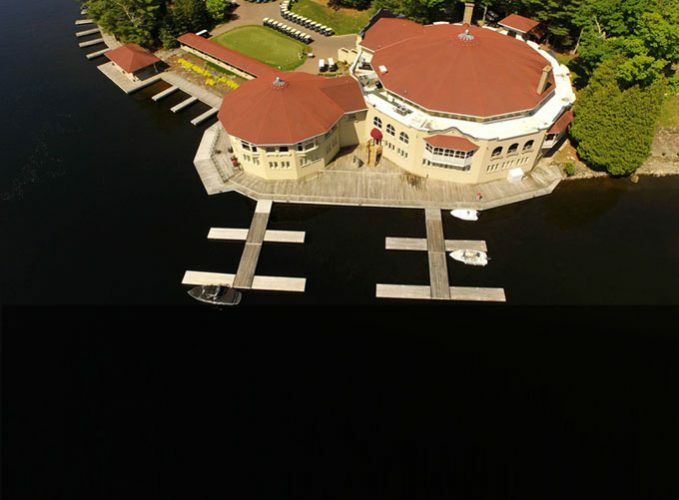 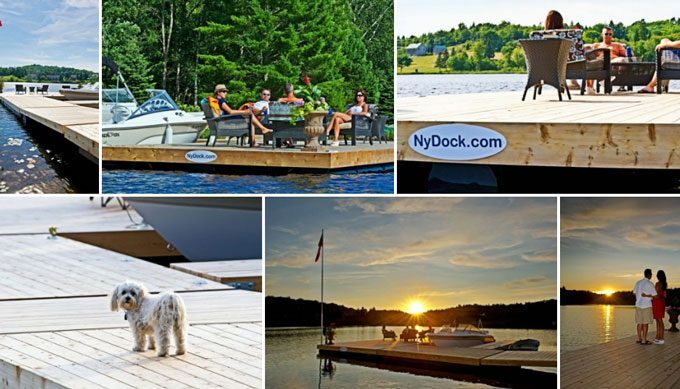 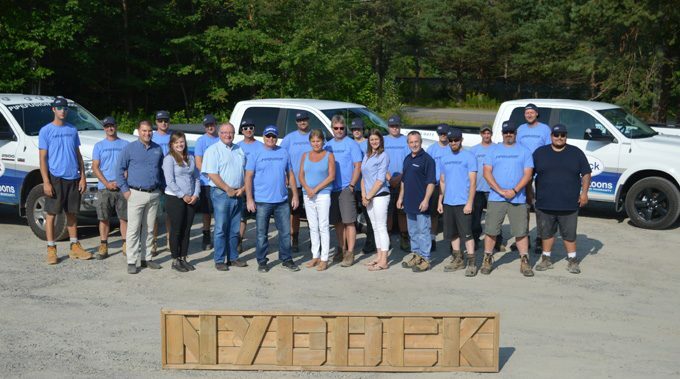 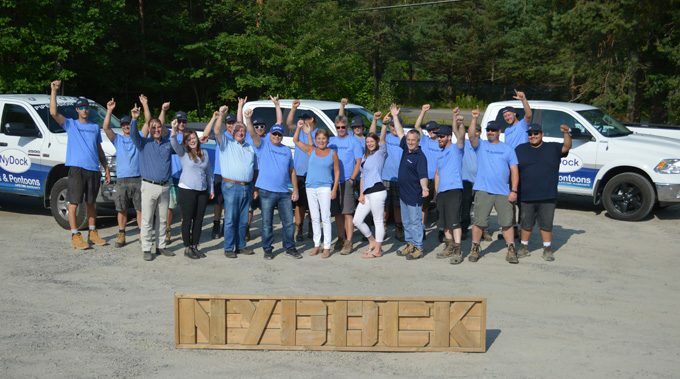 NyDock manufactures and sells many great products to help enhance your home or cottage on the water.